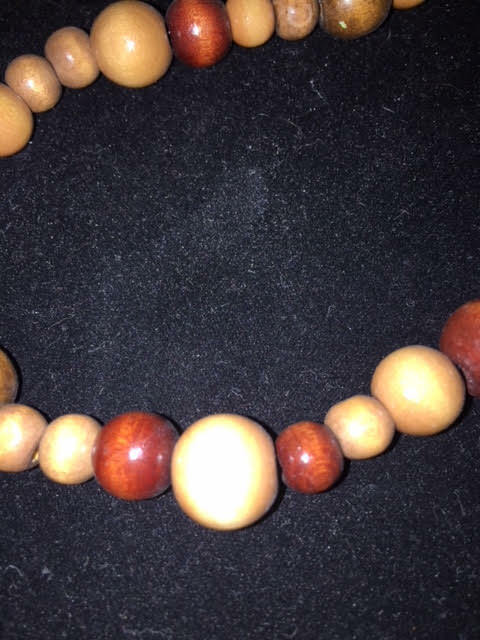 This is a nice wooden bead necklace. Price: $4.00 (plus 5.5% Maine State Sales Tax, of course). Location: Undercover Antique Mall, 960 Main Street, Oxford ME. Their telephone is (207) 539-4149. We are booth #56 and this pin is in our glass display case. For those who’ve been waiting for the revamped Heritage Collectibles, Books & Maps to re-open, we are still in the same building, but our new entrance is at the back of that building. 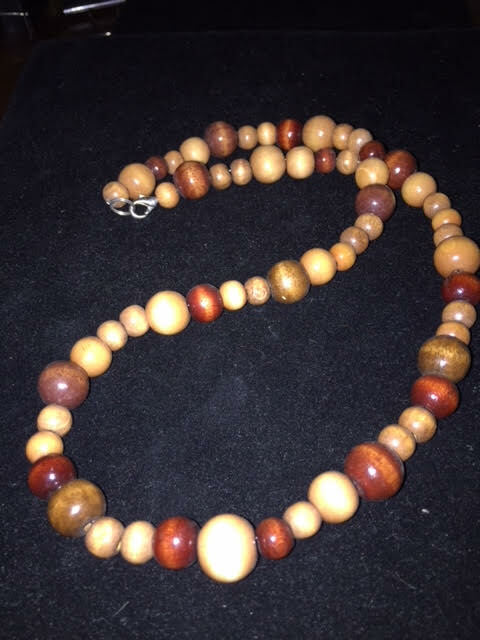 This entry was posted in Jewelry - Vintage & Contemporary and tagged beaded necklace, brown necklace, Heritage Collectibles, Undercover Antique Mall, wooden necklace. Bookmark the permalink.